EYE department staff at Bexhill Hospital had the opportunity on Wednesday, January 16th to thank the League of Friends for a total of £75,295-worth of specialist equipment. The latest gifts to promote the ophthalmic service at Bexhill include a £53,230 Zeiss Cirrus OCT machine, a £2,495 iCare tonometer, a £2,575 Visulens focimeter and a mobile sterile air zone device costing £16,995. In the Dowling Unit where the sterile air zone device had been in use only minutes before the lunch-break, the visitors learned how it projects an arc of filtered air around the patient's head as they are given sight-saving eye injections, so freeing-up space in the unit's clean-air rooms. The unit specialises in the treatment of wet macular degeneration, the largest single cause of blindness in the Western world. The unit's creation five years ago was made possible by a £180,000 League gift which totally equipped it. The visitors heard from unit matron Bev Attridge that usage has since ballooned from 300 patients a month to 1,000. 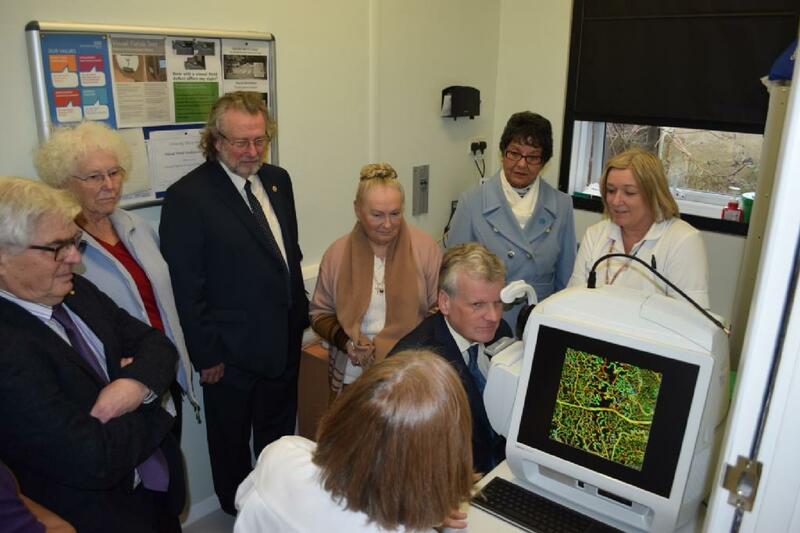 The visitors were shown the Optical Coherence Tomography machine by senior staff members Alison Smith, Joanne Richardson and Huma Thomas. The hospital now has five of the devices. The newest machine has the latest software, enabling Bexhill Hospital to hold “virtual” clinics. Matron Lesley Carter explained that with consultant time at a premium because of the demand for eye services “virtual” clinics can be run by trained technicians without a consultant present. 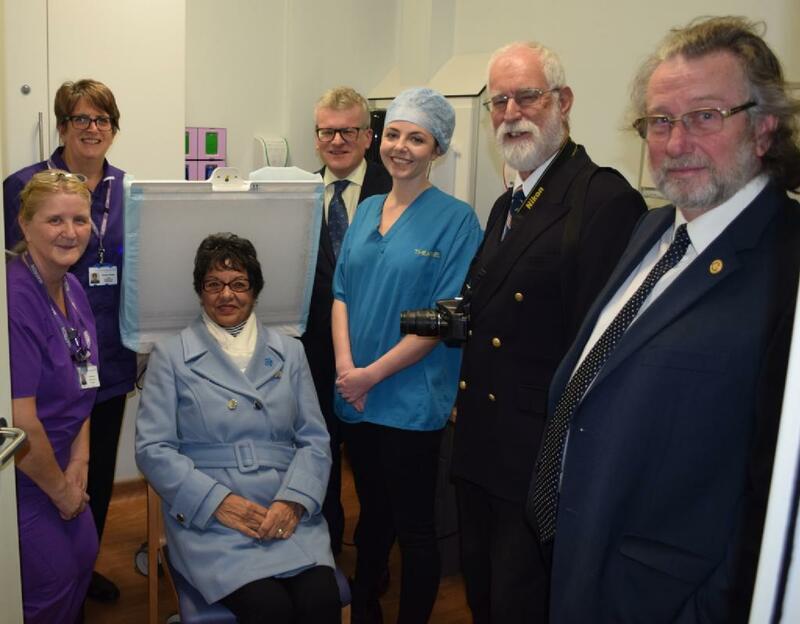 Thanks to League support - the charity gave £680,000 four years ago to equip the Jethro Arscott Day Ophthalmic Surgery Unit - up to 150 patients a week are now having cataract surgery at Bexhill. The League was represented at a photo-call to mark the latest gifts by Chairman Mark Sivyer, President John Dowling, Treasurer Chris Ashford and committee members Ann Dowling, Harriet Chapman, Rosemary Boyd-Mercer, Robin Poll and Peter Stiles.